In recent years there has been a heavy emphasis on the dangers of texting and driving. This is a good and healthy thing, given that texting and driving has been shown to make you 23 times more likely to get into a car accident. And with it now possible to do everything from shopping to playing fantasy sports on your cell phone, it’s becoming ever more important to crack down on using cellphones while driving. But until now, there has never been a way to physically prevent someone (like your teenage son) from firing off a few emojis while they change lanes on the highway. Your only hope was to try to scaring them before they did it or legally punishing them after they did it (if they even got caught). 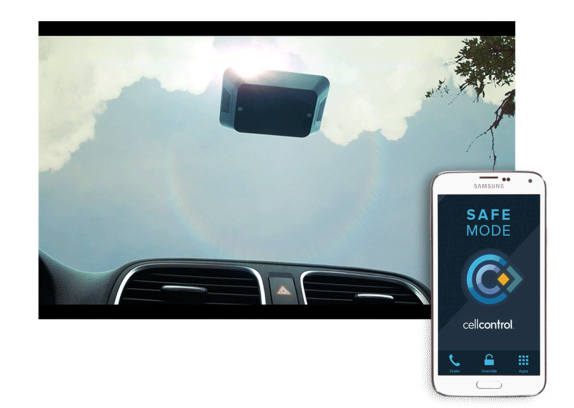 Cellcontrol now makes it possible for you to physically lock down a phone so that the driver is prohibited in real time from texting and driving. The technology works through a combination of a dongle installed within the car and an app installed on the phone. Once the dongle is live in the car, it automatically pairs with a recognized phone as soon as it enters the vehicle. Once the car is sensed to be “in motion”, the dongle and the app work together to block certain phone features, similar to an IT department locking down office computers so that employees can’t access social media sites and other, you know, kinds of sites. Through a management dashboard, an administrator can configure enablement or disablement of a variety of functions – texting, social media and even phone calls can be blocked. 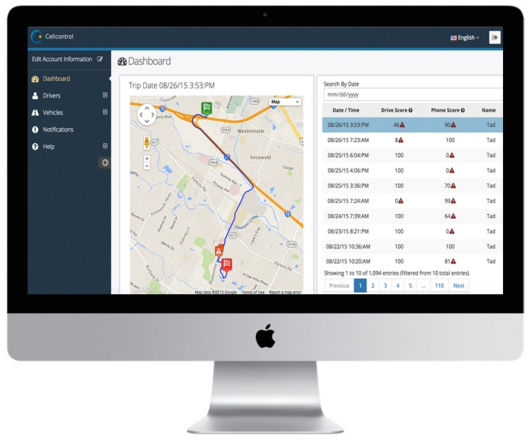 The Cellcontrol dashboard, however, is highly customizable, making it possible to allow phone calls only from specific numbers, access to specific apps, and even full access when a “passenger” is using the device. The dongle and app can also keep track of driver performance, analyzing things like average speed, quick braking and acceleration. After each car ride, a performance report can be sent to the administrator of the Cellcontrol account. A solar panel on the dongle ensures that it’s always powered. Cellcontrol appears to be aimed at two audiences. First, it’s for parents who want to be sure their children aren’t texting and driving. Second, it’s for companies, perhaps with large fleets of vehicles or corporate cars, who want to enforce their safe driving policies. On the surface, Cellcontrol seems like a surefire winner, effectively parlaying the statistics and concerns created by don’t text and drive campaigns squarely into a $129 product. Given the ongoing backlash against texting and driving, it seems inevitable that car manufacturers, alongside a surge of smartphone-integrated vehicles, will make this kind of control a standard feature. Until then though, Cellcontrol will be parked firmly in the gap. For me, the coolest feature here is the solar panel to keep the power pumping, that is smart. Keeping someone from texting might not be an easy thing to do and there are other apps out there that will do the same, but this one looks to have the most control.